Although it is very much a national company, carrying out a diverse range of projects across the country, Portsmouth-based Vale Southern Construction has retained a close link with its home city and the local community. This was further underlined when it announced a two-year sponsorship with Portsmouth Football Club last year. “Even though we operate nationally, we’re keen to raise awareness of what we’re about within the local area too so that people know about the standards that we’re able to deliver,” explains Oliver West, Assistant Commercial Manager. “We were therefore delighted to sign the sponsorship deal with Portsmouth FC. We have been long-standing supporters of the club and what better way to show our support than by becoming a club sponsor? For its part, thanks to the skills and expertise within the business, Vale is able to tackle all kinds of building contracts, from JCT minor works to design and build schemes for private, commercial and local authority clients nationwide. With almost 30 years of experience within the construction industry, the company prides itself on the professional service it can provide. Within the hotel sector, Vale was involved in the development of The Lodge at Solent, a new concept from Thwaites that has opened in Hampshire. A £5m addition to the four star Solent Hotel and Spa, the Lodge at Solent offers a contemporary design and original features that have been inspired by the local area. In addition to the construction of the 54-bedroom Lodge, the adjoining restaurant Parson’s Collar Pub & Kitchen has also enjoyed a makeover with a new bar and kitchen featuring a wood-fired oven and ice cream parlour. Vale’s ability to turn its hand to a wide variety of work has been built on the strong foundations that the company has established and its ethos of bringing the right people into the business, which is continuing to set it in good stead. “We’re seeing the local authority sector starting to pick up, whilst we’re also seeing more coming through on the residential side too. 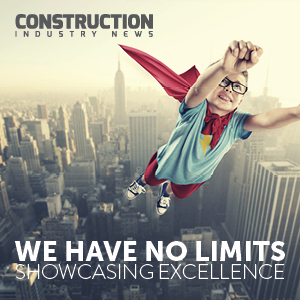 The entire construction industry is proving quite buoyant currently so we’re looking ahead to 2018 with confidence.